Various kinds of moulds are produced for the preparing of samples by compression moulding according to the international standards. Moulds are made with steel for moulds. 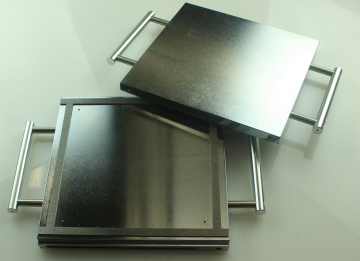 Most models of mould are chrome plated to ensure long duration and easy extraction of the samples. 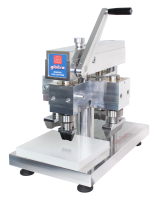 The press platens can be equipped with extraction rails which make it easy to move the mold for extracting the specimens. The guides allow to fix the upper half-mold to the upper planen of the press and to slide the lower half-mold up to the stop position when it is necessary to remove the moulded part or insert the material to be moulded. 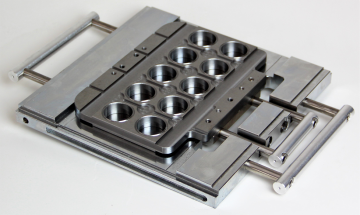 All molds produced are compatible with the guides. To replace the mold, simply unscrew the locking screw. Below are some examples of frequently requested molds. 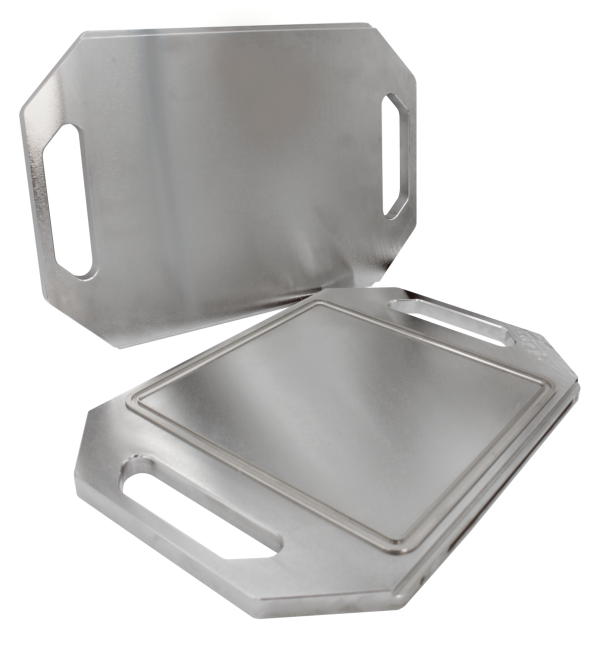 Molds are produced according to the specific needs of the customer. Contact us for any need. 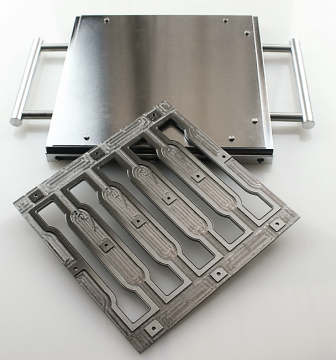 Moulds for 200x200 mm sheet production with 2, 4 or 6 mm thickness. 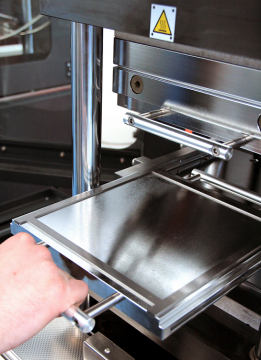 Molds with thicknesses other than standard or with multiple thicknesses can be produced. Combined mold for the preparation of specimens for Compression set type A or B, specimens for drum abrasimeter, etc. The intermediate section can be produced according to specific needs. The intermediate section is anchored to the lower (sliding) part of the mold to prevent it from moving during the opening of the press and is removed at the end of the molding to facilitate the extraction of the specimens. Moulds for hardness samples according to ISO 868 ISO 48 (and similar) standards. 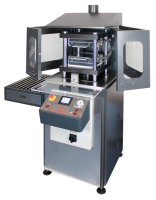 Mould for De Mattia dynamic tester according to ISO 132, ASTM D 430-method B, DIN 53 522 standards. Tensile testing molds for thermoplastic materials according to ISO 527-1 / 2/3, 178, ASTM D 638, 790, 882, 3574, etc. 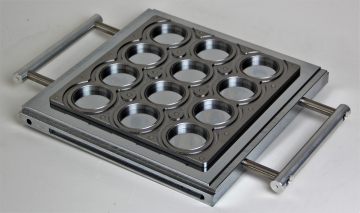 All the moulds are chrome plated to ensure long duration and easy extraction of the samples.